Subject: A rare weekend email. We usually don't send out emails on the weekend, but we're just a week out from Moving Planet on September 24, and the excitement is really starting to build. A few very cool actions are already underway -- our friends in Indonesia have already started on the 350-hour bike ride that will carry them across much of the nation, and in India the Naya Swara Yatra (New Independence Journey) bike team has left Nagpur bound for Mumbai with their message, "it's time to move past fossil fuels". In most places, though, people are still making last-minute plans: for the "human flood" of blue shirts across Cairo, for the parade of fuel-free floats across Cape Town, for the procession of the "Eco-lympic torch" across Rio de Janeiro via skateboard, foot, and pedal. If you find an event you want to join, take a moment to contact the organizer and see if you can help out in the final week. And here's the point of it all: if we're going to win this global fight, we need a global movement. When you're taking part in your hometown, millions of others will be doing the same thing: on different continents, in different languages, but with the same idea in their minds and hearts. We're building local power and global power at the same time. We know that the climate crisis is serious business -- we know that even right now there are people suffering from drought and floods caused by climate change around the world. Our hearts are with them -- and our bodies are going to be in motion, helping show our neighbors what the future can look like. So: don't just sign yourself up. Make sure everyone you know knows about it too. You can spread the word on Facebook and Twitter, or just forward this message through your email account. Share the day however you can -- and don't forget to join us on Saturday. This will be too good to miss! P.S. It's heartening to think about people all over the world getting ready for the big day -- making banners, putting up posters, fixing their bikes, and calling their friends, neighbors, media and politicians to get them out to local events. 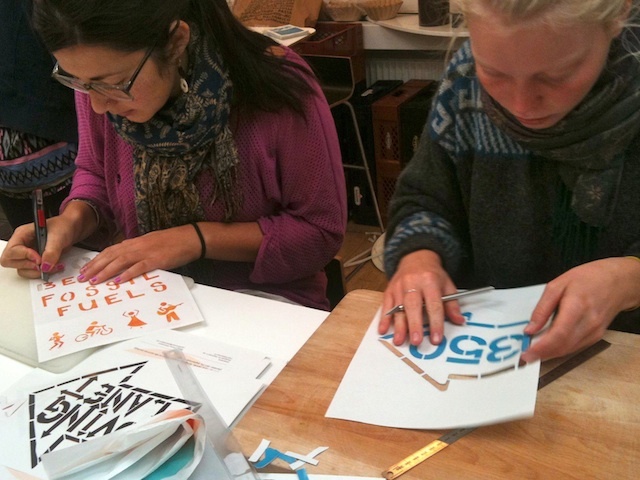 Check out the image below that just came in today from Copenhagen, Denmark, of people making stencils and signs. 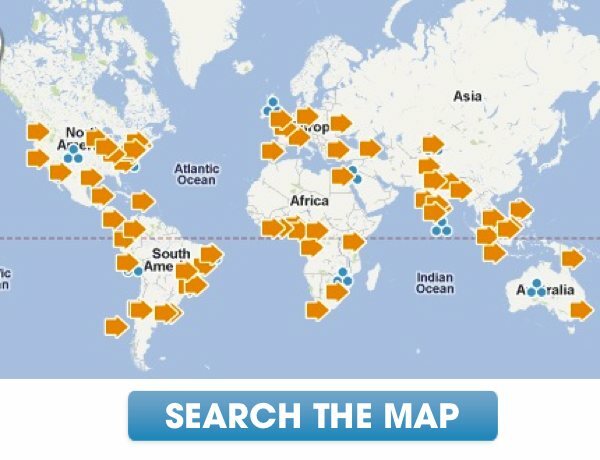 This network is strongest when we inspire each other -- if you have an image you want to share with the 350.org network, send it to photos@350.org.